Isn't this a beautiful inspiration board. I wonder where the folks at Double D get them? Well I was inspired by all of them, but chose the one on the lower left. My card is done with two different stamps that I have had, and have not yet used. As soon as I saw this board, I knew that I would be using them some how in this challenge. I stamped the Art Impression stamp Windows to the World in the inside of the card. It is a cute scene of a little cottage surrounded by trees and a lovely gate, with flowers in the foreground. On the front of the card, I stamped the Altenew flower swag called, Recollections. I used the colors that inspired my from the inspiration photo. I cut out a window so that you can view the cottage scene inside. I stamped the sentiment from the Altenew set. I really love this sentiment and strive to live it. Lastly I sponged some Distressed Ink on the bottom. I think I need to blend it more. I am entering this to the Double D Challenge. Thanks for stopping by, your comments brighten my day. Hello! Here are are, ar the end of the month of May and it is time for another challenge at Seize the Birthday. I good time to starting making those birthday cards that you will be needing in the coming months. Here is another view so that yo can see that I finished the inside too. Something that I am striving to do more. I am also trying different background to show off my cards better. We have a new Special Party Guest too. Her name is Cathy and you can see her blog Here! 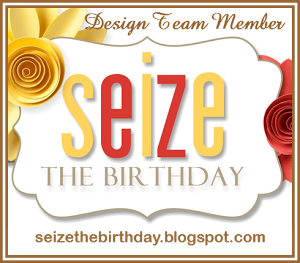 Please check out what all of the other designers have done at Seize the Birthday. card made with the Elizabeth Dies, called Aster. I remember these in my parents garden every year. I must tell you that I liked this card well enough, but as I was sharing it with you today, I thought there is a better way. The flower looks a little stick like. I had die cut lots of these flowers and leaves and here is what I did. After coloring all of the pieces, I brought them to my sponge pad, the one that I use to shape flowers and leaves. Using my stylus, I scored the back of the flowers and the leaves, giving them a more realistic look. You can see the difference here. See how much better the leaves look here. Now I have another set of Asters to make another card. Consider making your flowers look more real, it is pretty simple and I am sure that you can do it. Currently out of stock, put it on your wish list. Power Poppy - Frame it Up! It has been a long time since I have had the time or the Mojo to enter a challenge. I usually don't let many get buy, special the Power Poppy ones. Today I am posting this card that I made for this challenge and I have to say that it is not a favorite of mine. But, when you mojo has left, you need to start somewhere to find it again. This is my new beginning. I did make another one today that brings back some promise that my mojo is around and maybe back. I will need to post that one in a couple of weeks. Look for it on the Seize the Birthday challenge. Well, here is what I was talking about. This is an example of partial die cutting. I stamped the image form Everything's Even Rosier stamp set and then partially cut the oval stitched die from Lil'l Inkers. After coloring the roses with distressed inks, as I used water color paper, I placed it on a base of pink card stock. I believe this was some leftover from Stampin Up. I doubled it up as it was not very heavy. I was really going for a light pink flower, but this is where my mojo left. That's my story and I am sticking to it. 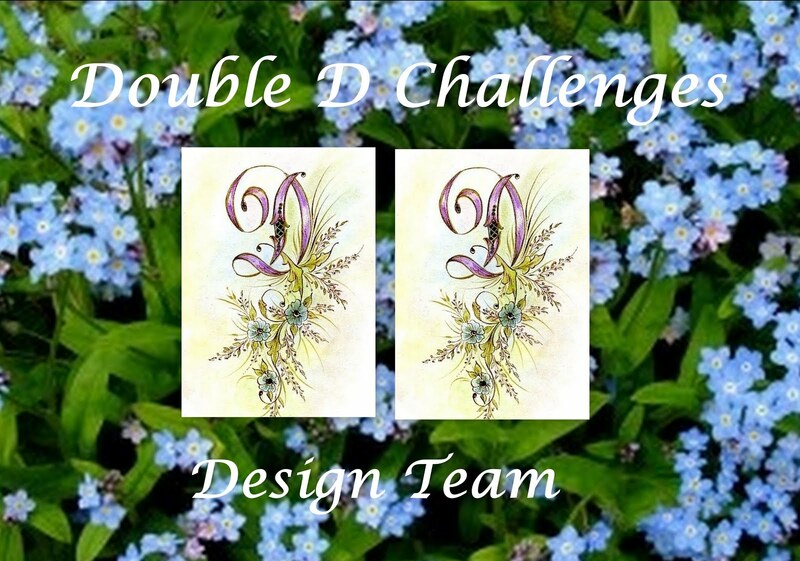 This card is going to be mailed to my sister, and I am also entering this in the Power and Spark challenge. Thanks so much for stopping by, I love your comments and they are very much appreciated. On the Dies R Us Inspirational Blog today I have made a card using a crocus, one of the first flowers we see in Spring. I have a card that I made after spending some time in Florida. There, the spring is in full bloom and back here in Wisconsin, we need some more sunshine. Soon all of the flowers will be blooming, but for now, we can make cards to reflect the Spring season. Here is another view of the card, you can see all of the texture that you can get with dies. These are really fun to work with and you can mix and match the dies of other flowers. It would be fun to see what you will come up with. Look what I did with just one die. Thanks for stopping by to take a closer look. I do love your comments. Welcome to another challenge at Seize the Birthday. We have a fun topping for you this week, just use an Creature or Animal on your project. Pull out those stamps that I know that you have and start making those birthday cards. 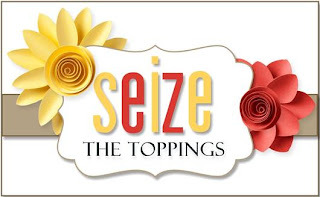 Of course, if you are not a toppings kind of person, just make it a birthday card. This was such fun to make as I always enjoy using stamps and dies from My Favorite Things. This stamp set s Adorable Elephants, and I loved stacking them to make it look like one is helping the other. I also used a Simon Says background stamp called Circle Doodle. The sun is from Lawn Fawn, Spring Shows. I colored all of the images with copic markers and die cut them out. There is Glossy Accents on the balloon. 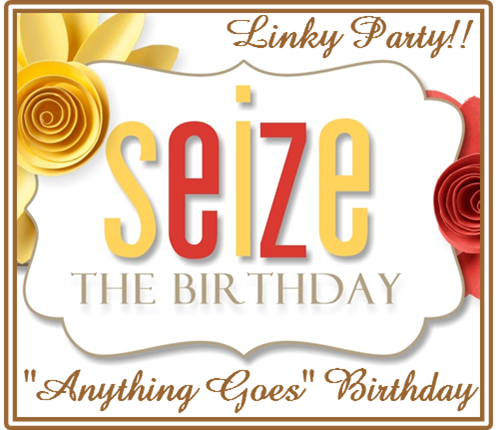 Please check out what all of the other designers have done at Seize the Birthday! Thanks so stopping by, your comments really make my day. 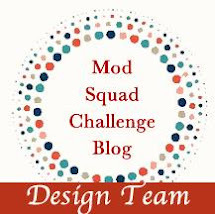 Mod Squad Challenge - May - Let's Color! Time sure has been going fast and I find that I am busier than ever. We will have some traveling to do this spring and I an trying to work ahead with these posts. For this challenge, I am going to make it easy for you and for me as well. I am challenging you to make a project and put some coloring on it. Not stamping in color, get out your colored pencils, paints, crayons, what ever you color with and join in. I challenged myself to do a new technique for coloring. I used just the two colored pencils that you see in the photo and blended them with Gamsol. It was so easy and I am sure that I will be doing this often. I was able to get the blue/green colors that inspired my with the patterned paper. Power Poppy by Marcella, designs such beautiful flowers and plants, that they are so easy to bring to life. A close up of the succulent. I actually added some dew drops, but they are impossible to see. Thanks for much for stopping by, your comments brighten my day. 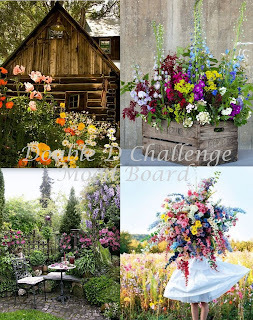 Hope to see your entry in the challenge.